Can be caught by Fishing at Eptile. Requires Erfdarian citizenship and level 33 fishing. 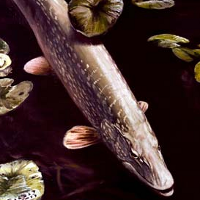 When Cooking Pike you will get 0–2 Bait and you will randomly collect 1 Fish Scales, 1 Sharp Tooth or 1 Bone or possibly any 2 or even all 3.